Today’s Wall Street Journal includes a wonderful article by J.S. Marcus called “Prelude to a Movement: After Communism, a New Generation of Czech Stars Is Taking the Classical World by Storm.” The article provides an in-depth profile of the Pavel Haas String Quartet and mezzo soprano Magdalena Kozena – two of the artists performing on Shriver Hall Concert Series 2012-13 Season. Read the whole article here! This review is an Ionarts exclusive. When Angela Hewitt comes to the area, Ionarts is there -- in 2009, 2006, and 2003. Right on schedule, the Canadian pianist, an Ionarts favorite in Bach and other Baroque music, came to Baltimore's Shriver Hall on Sunday afternoon. We are lucky, as it turns out, that she made it: after a performance in Nashville in early March, Hewitt underwent some emergency surgery, a situation that she naturally prefers to keep private but that was scary enough for her to comment on in a recent statement on her Web site. Her recovery, fairly arduous, forced her to cancel recitals in Copenhagen, Birmingham, and Berlin, and concerto appearances in Brussels and Ankara, after which she returned to her planned schedule in Dublin on March 30. She made no mention of her ordeal on Sunday, but it did apparently occasion a change in the programming of this recital, with Rameau (alas) replaced by some 19th-century French music. I say this not out of disrespect for Fauré or Ravel, but because my chances to hear Rameau's keyboard music live are so depressingly rare. A François Couperin set was limited to four selections from the composer's Sixième Ordre, arranged in a sort of mini-suite. 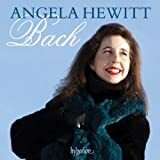 These pieces were impeccable in the way one expects of Hewitt: crisp ornaments, gorgeously shaped phrasing, variation of dynamics and articulation. Putting the lie to the sometimes repeated assumption that all Baroque music sounds the same, Hewitt drew a different character from each movement, with a languid Les Langueurs (so much made of so little on the page), an understated way with the famous Les Barricades Misterieuses, and a rug-cutting Le Moucheron -- a gnat dancing a jig. Bach's fifth French suite (G major, BWV 816) was likewise a marvel, with charming embellishments adorning the repeats, even in the spirited, bouncy Gigue. The Sarabande was exquisitely turned, perhaps wallowing just a bit too much in the details, but the buoyant Gavotte, light with the sense of dancers' leaps on the strong beats, was about as perfect as it could be. After her surgery, Hewitt has written that she did not touch the piano for over a week, coming back to practicing eventually by taking her first look at the score of The Art of the Fugue, which is planned for performances at Royal Festival Hall next season. We had a sneak preview of her thoughts about the piece because she played the first four contrapunctus movements, and my advance response is that it is going to be very good indeed. In brief comments, she admitted that she thought that the sections of this complicated piece would all sound the same. With that in mind, she quickly dispelled that assumption with four different styles of performance in these movements: a jaunty no. 2; a tortured, wandering no. 3; a whimsical no. 4 dotted with the little two-note motif she identified, quite convincingly, as a cuckoo's call. The rest of the program was given over to Hewitt's recent fascination with 19th-century French music, which will be the subject of the disc she plans to record in August. She made Fauré's Thème et Variations in C-sharp minor, op. 73, a rather odd and rambling piece, into something delectable, especially the slow, delicate inner variations. 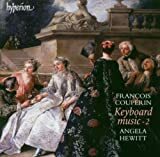 Even better, because it is stronger music, was Ravel's Le Tombeau de Couperin, an evocation of the French Baroque to which Hewitt applied her whole bag of Baroque tricks. The Prélude was fleet, vanishing in a puff of sound, and she did nothing to exaggerate the delicious, extravagant harmonies of the odd Forlane, thinking first of the sense of the dance. 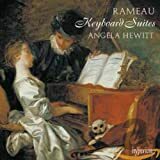 A feisty Rigaudon and a cool, unemotional Minuet led to an athletic Toccata that nevertheless revealed a few unexpected slips in Hewitt's technique. One is so used to everything being just so and in place with Hewitt's playing, but she is not the sort of power player who can flash her way through a piece like this on nothing but adrenaline. (Lingering after-effects of her surgery could also be an issue.) With the encore, Debussy's omnipresent Clair de lune, from the Suite Bergamasque, we were back in the realm of the expertly carved miniature, which makes the prospect of a Hewitt Debussy disc, planned for release sometime in the fall, a palatable one. Next season's series of concerts at Shriver Hall will feature the Brentano Quartet (October 14), Europa Galante and Fabio Biondi (November 4), pianists Piotr Anderszewski (December 2) and Marc-André Hamelin (January 27), mezzo-soprano Magdalena Kožená and pianist Yefim Bronfman (February 17), violinist Nadja Salerno-Sonnenberg (March 3), violinist Alina Ibragimova with pianist Cédric Tiberghien (March 16), the Pavel Haas Quartet (April 7), and cellist Alban Gerhardt with pianist Cecile Licad (May 5). to our blog to read reviews, see our announcements, and learn about what's happening at Shriver Hall Concert Series!